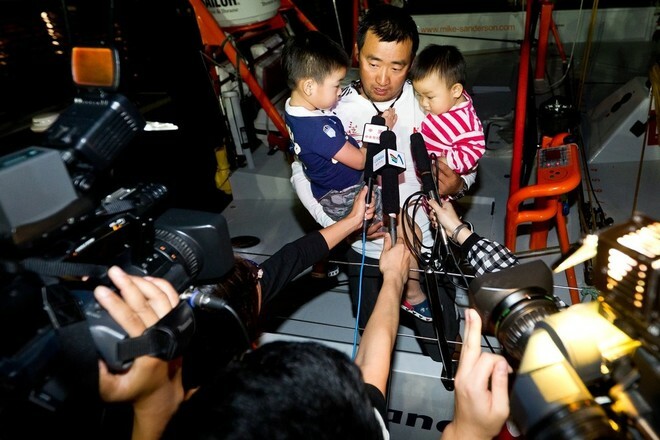 Volvo Ocean Race Team Sanya, the first sole Chinese entry in the Volvo Ocean Race, crossed the finish line at their home port late Sunday night to a raucous welcome from thousands of locals who lined the dock. Firecrackers sounded as the exhausted team, including the first Chinese sailor to compete in the race Teng ‘Tiger’ Jiang He, stepped ashore for hugs, kisses and cheers from friends, family and well-wishers at Sanya Serenity Marina. 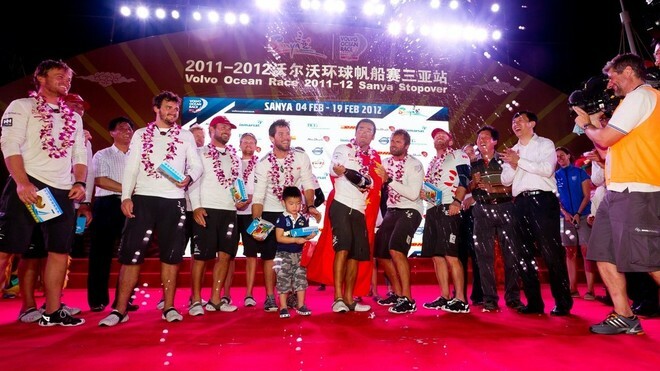 Team Sanya crossed the finish line in Sanya Bay at 19:35:17 local time, 12:35:17 UTC, after more than 14 days at sea completing the 3,051 nautical mile leg three stage two race from the Maldives to China. Commenting on their sixth place finish Sanderson said he and his crew were disappointed not to have done better but would now refocus on improving their performance in the rest of the race. 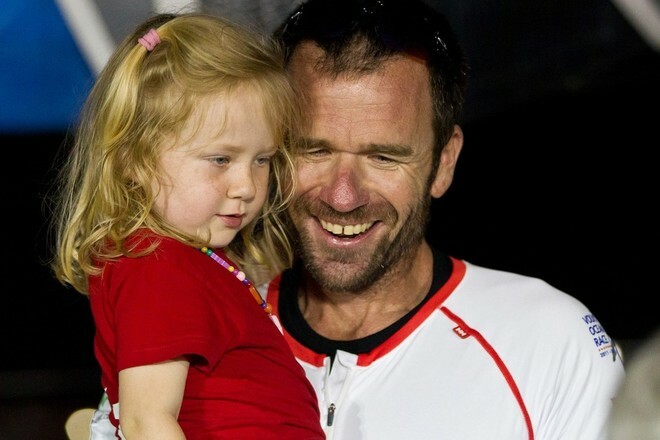 ‘We’re competitive racers, we’re not here to sail around at the back of the fleet,’ he said. ‘We’ve got to look forward now. We’ve got lots of positives to take from and we can definitely get the boat going faster.